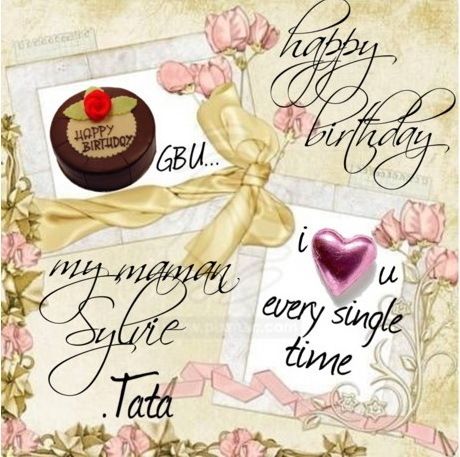 HAPPY BRITHDAY MY DEAREST MAMAN. this one is special for you. :) i made it with all of my heart. hope bạn like it! :D. Wallpaper and background images in the luôn giữ nụ cười club tagged: smile sylvie happy friendship. Your picture is amazing girl and I love it ! But you know that no ? Thank you so much and you have great talent ! thank you! i love you both! emmmuuahh!! !